Beautician Carol Ann Porter works on her favorite client, "Santa Cotton." Arthur Erskine of West Columbia and friend. 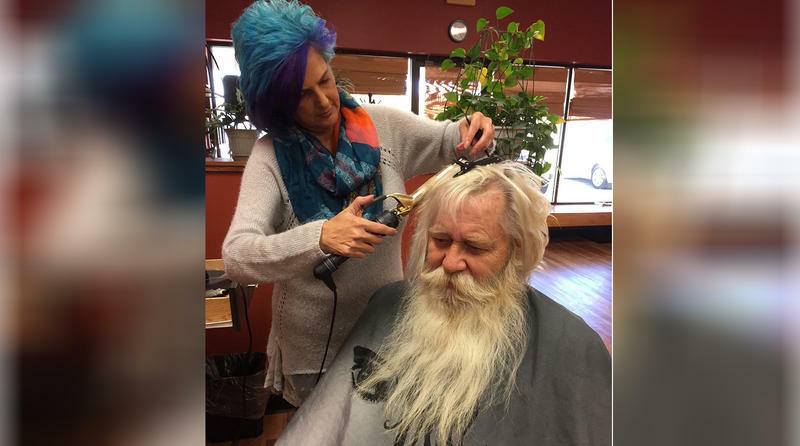 Most men don’t frequent beauty parlors, but Arthur “Cotton” Erskine of West Columbia visits his every day from Thanksgiving to Christmas to prepare his hair and long beard for a role he’s portrayed for years: Santa Claus. “Santa Cotton,” as he is known, becomes the Jolly Old Elf for events such as Christmas parades, private photo sessions and store appearances, sometimes with as many as six appointments a day. 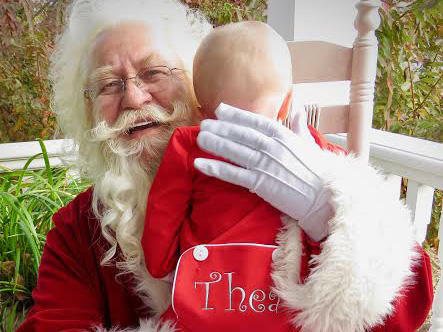 He is “Ho Ho” to his grandchildren, and here he discusses the fun of dealing with children, and the unusual requests they sometimes have of Santa. 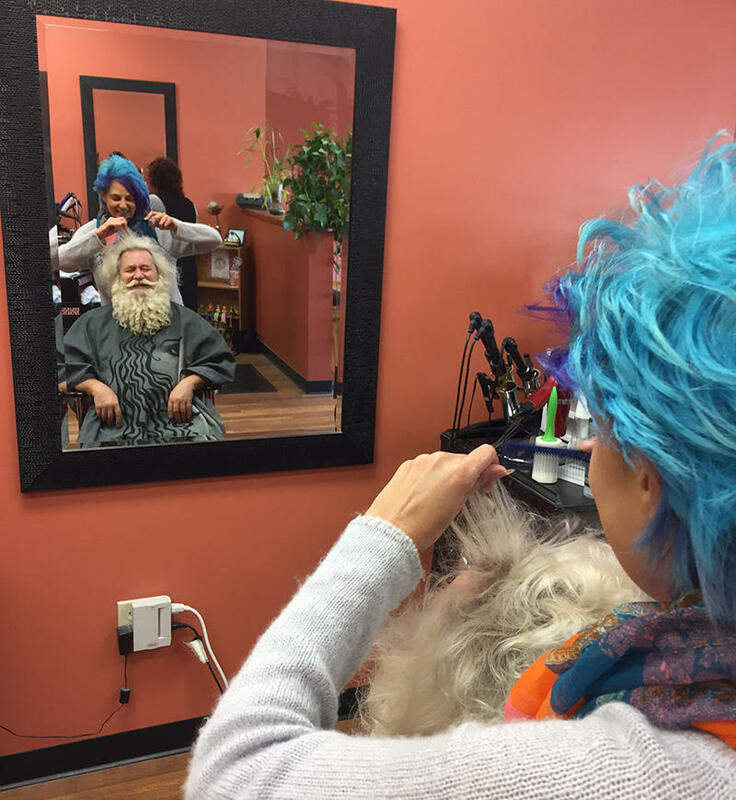 Erskine’s hairdresser and the co-chair of Columbia’s Carolina Carillon parade talk about how ideal he is in his role of the spirit of Christmas.